Willkommen (Welcome) to Day #3 of Chocolate and Ecuador Theme Week. 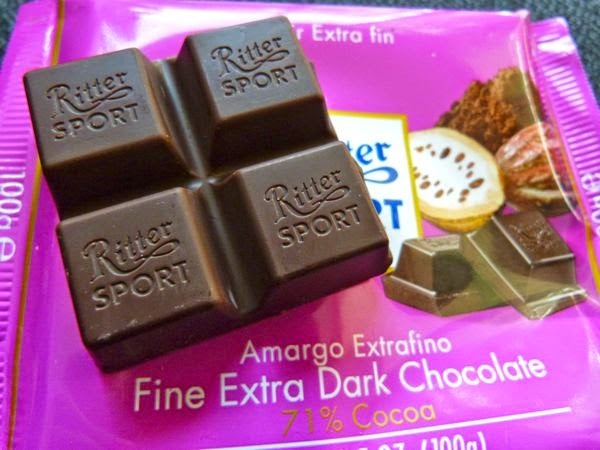 The Ritter Sport line of chocolate bars from Germany, available with hazelnuts, corn flakes, marzipan, praline, yogurt, and other flavors, are sold in many stores in the U.S. I'd had several of these bars before in previous years. Today, however, I thought I'd shake things up (fitting, as I was woken up by an earthquake this morning), and went back to basics. 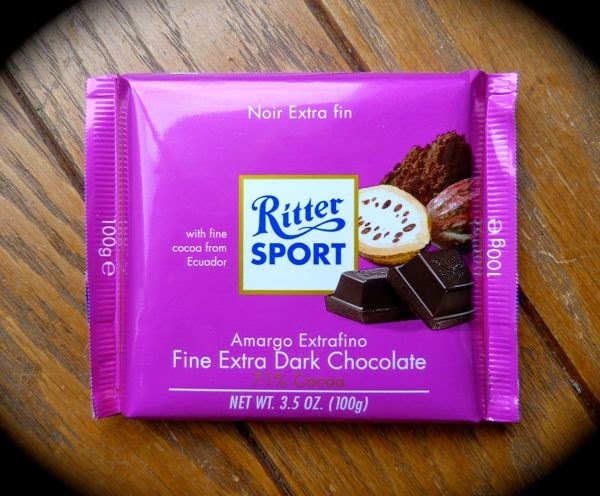 I enjoyed a Ritter Sport dark chocolate bar, without flavor inclusions, made "with fine cacao from Ecuador." This bar had been squirreled away in my chocolate vault for just this occasion. This "Noir Extra fin" chocolate was smooth, dark and bittersweet, a good basic dark bar.